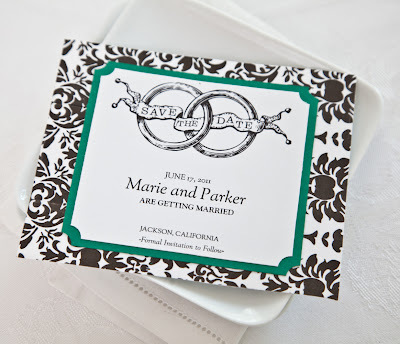 This lovely Damask Save the Date Card was created using the free printable wedding correspondence set from e.m. papers and decorative tape in damask pattern. 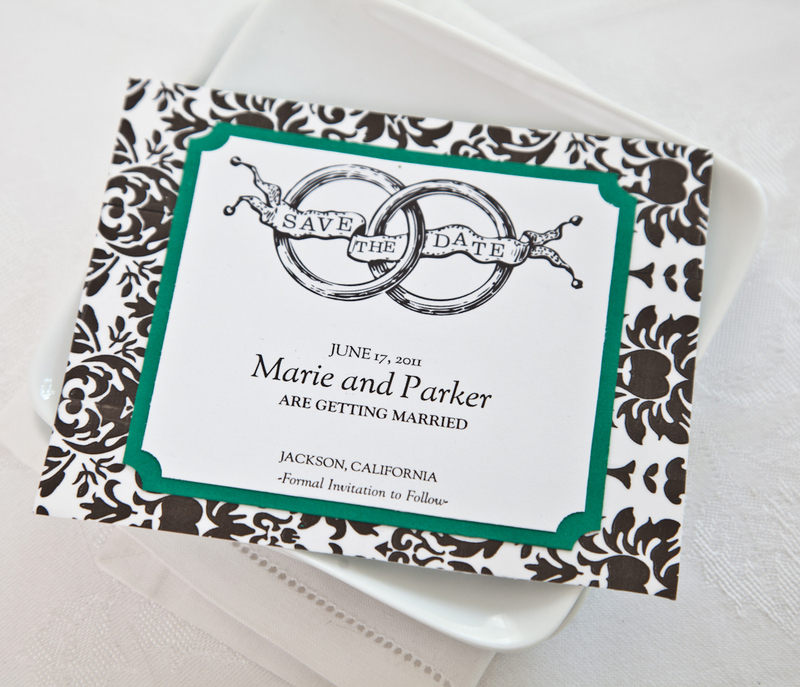 Our thanks to Eleanor, who let us use the lovely printable wedding stationery of e.m. papers. This the first of our new blog posts series, we would like to call Wedding Wednesdays. We will feature do-it-yourself wedding crafts made with TapeSwell decorative tape. As always, we are open to your ideas and submissions. I love the damask tape. Probably my favorite. thank you. thank you. thank you. I'm waiting for my last order to arrive of your new tapes. Thank you so much for your kind words and taking a moment to ask a great question! When I am working with the tape I think of it like wallpaper. I start by cutting a strip of tape larger than I need. By doing this I can use the whole piece of tape to glue my paper to my work surface. I find it easier to line the pattern up when my project can't slide. Cut another strip of tape and line up the pattern slightly overlapping the first piece. I trim away any excess tape with a kraft knife or scissors. I hope this helps. Happy crafting and takes for sticking with us!